Home health care services provided by the Visiting Nurse Association of Hanover & Spring Grove ensure your loved one receives daily care for basic needs. 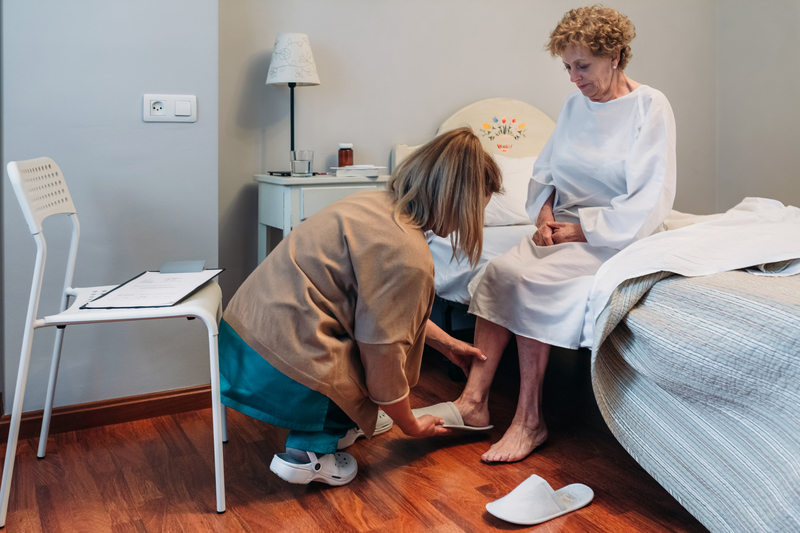 There are a variety of reasons why you might choose to look for home health care services, including an illness or injury. Quite often, home health care is sought for an elderly parent to allow them to stay in their own home instead of transferring to a retirement home. Our main goal in providing you with home health care is to help you regain independence and to get you back on your feet. These services can also make you feel better more quickly and help you become as self-sufficient as possible. Because of changes in healthcare, more individuals are released early from hospitals after surgery and other procedures, but we can ensure you get the care you need in the privacy of your own home. The Visiting Nurse Association of Hanover & Spring Grove provides excellent service for those needing home care throughout all of Adams County. We treat all of our patients with dignity and respect, and all our workers receive ongoing professional development to understand the latest treatment processes. Home health care services make it easy for an individual recovering from an injury or illness to go about daily tasks. If you or someone you love needs assistance, contact us at the Visiting Nurse Association of Hanover & Spring Grove at (717) 637-1227 for more information.